DividendMax»Company Coverage»Country:United States»Exchange:New York Stock Exchange»Sector:General Industrials»Company:General Electric Co.
General Electric Company (GE) was born in 1892, following the merger of Edison General Electric Company and Thomson-Houston Electric Company. 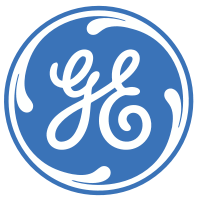 GE is now a global diversified technology, media and services company, delivering products as diverse as aircraft engines and power generation to financial services, medical imaging, television programming and plastics. The company's businessis divided in to the following business segments: Aircraft Engines, Commercial Finance, Consumer Finance. General Electric was added to Dow Jones November 7th, 1907. It has a very good track record of paying increased dividends to shareholders.